These photographs use Mexican and Guatemalan folk art—masks, carved wooden animals, papier mâché figures, and toys—in a lively blend of reality and fantasy. On trips to central Mexico I spend much of my time in the local mask shops, markets, and bazaars searching for the figures that will later populate my paintings. I take objects with a unique Mexican or Guatemalan past—most have been used in various religious festivals—and give them a second life, so to speak, in New York in the present. When I return home, I read prodigiously and find out as much about them as I can. I use these objects not only as surrogates for human actors, but as potent symbols: an amalgam of child¬hood memories, half-forgotten dreams, and images encountered in literature, pre-columbian art, and cinema (especially German silent films and movies by Alfred Hitchcock and Orson Welles). This work has been evolving for more than a decade. The imagery is autobiographical and very personal, but has universal associations. 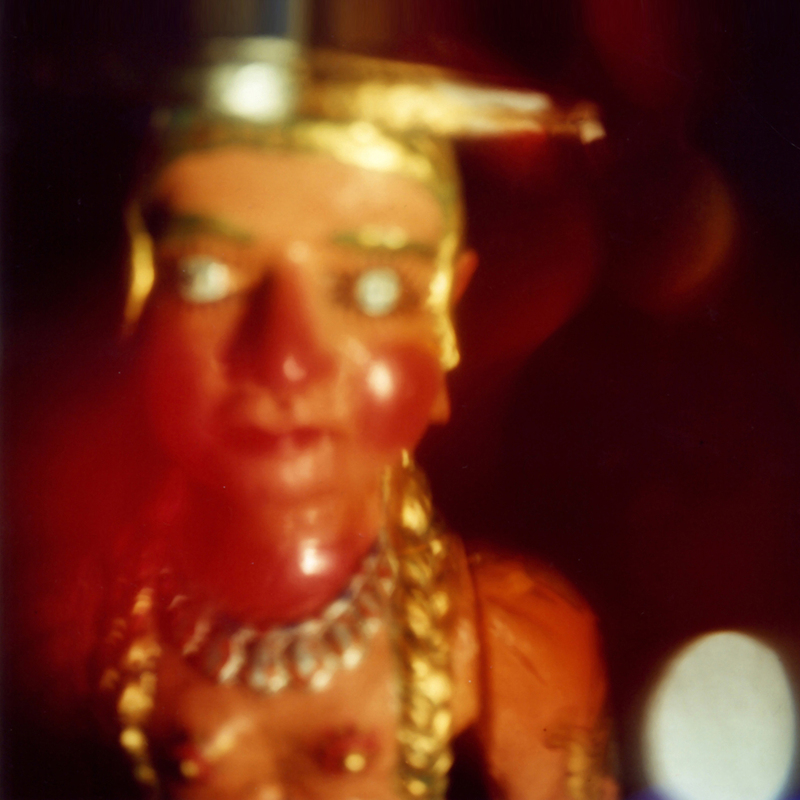 The chromogenic prints in this series are experiments in which I relinquish control. Basic picture-taking techniques, like focusing and composing an image in the rangefinder, are abandoned. I use film and eschew digital manipulations in both shooting and printing the images. I photograph through colored plastic gels to add shapes and colors, to abstract and otherwise render details unrecognizable, and to create dreamlike scenarios. Each image is an unrepeatable surprise. Always I am letting go, breaking habits learned as a painter and a photographer, exploring, and seeing what will happen. In this series I am “painting with a camera,” creating variations that free my camera from being a mechanical recording device of what lies before it. Charles, I Liked your FB page.